This women's day DLF Promenade Delhi, a mall dedicated to women, devoted an entire week (1st -8th March, 14) for women to shop, eat, relax, have fun and get rewarded in unique ways for the immense dedication and care with which they nurture our world. 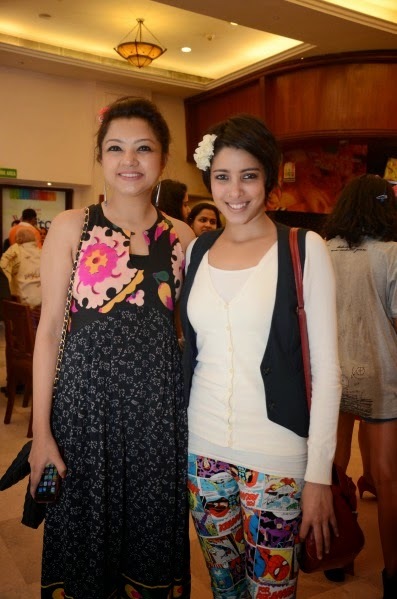 A few Delhi bloggers as well the top women socialites and designers were seen enjoying each others company and all that mingling when a session of hi-tea and a special screening of the movie Gulaab gang was hosted by, DLF Promenade, Delhi. 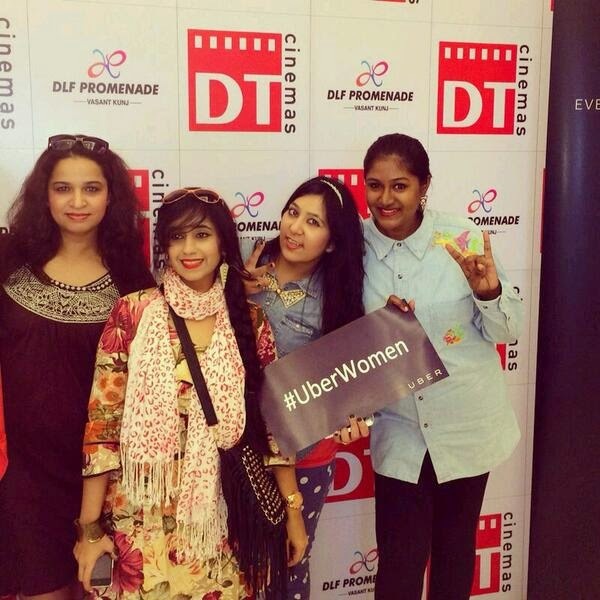 Ok before I go on and share the details and highlight of this event, I really have to tell you about this super cool cab service by the name of Uber The event took a leap of excitement when all the women were driven to and fro to the venue in Uber cabs. Uber is an app that lets you hail a luxury cab within minutes you launch the whole thing on your lil smart phone. And seconds after that it locates the total no of cabs in your Gps vicnity .Once the request gets accepted by a driver there is a push notification with the drivers name, and pic along-with the type of car and car number that is being sent over with an estimated fee for your cab ride. Verdict-It sure as heck beats the old fashioned taxi booking system that we all know of as of now. All I can say is that its the future, and in a city like Delhi, this could be women's best travel alternative. The movie though brought about the message of being fearless and all that women power being exercised , and besides all that violence which I am not appreciative of, the good part about the film was the sputtering chemistry of Madhuri Dixit Nene and Juhi Chawla that makes it worth watching once. The women who came together to celebrate International Women's day were designers Nida Mahmood and designer Anupama Dayal, Ramola Bachchan, models Sonalika Sahay, Krishna Somani and Amanpreet Wahi among others. Located on the Nelson Mandela road in the heart of Vasant Kunj is DLF Promenade, a mall for the trend-conscious discerning customers of Delhi and NCR. 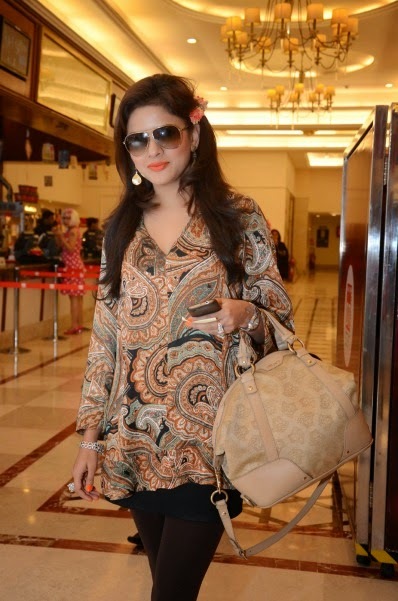 By the virtue of its offerings, DLF Promenade has earned the distinction of being the city's only fashion destination. Spread over 4.6 lacs of square foot area, DLF Promenade caters to customers who are looking for a quality shopping experience coupled with a chic ambience. DLF Promenade not only boasts of some of the best brands in the fashion retail industry, it also offers some rather exclusive value additions. Housed in the mall are Kiddyland – the largest outdoor play area for kids, and The Hub – a one-of-a-kind open air lifestyle space comprising cafés, dancing fountain on the likes of Bellagio, and the city's largest LED screen.